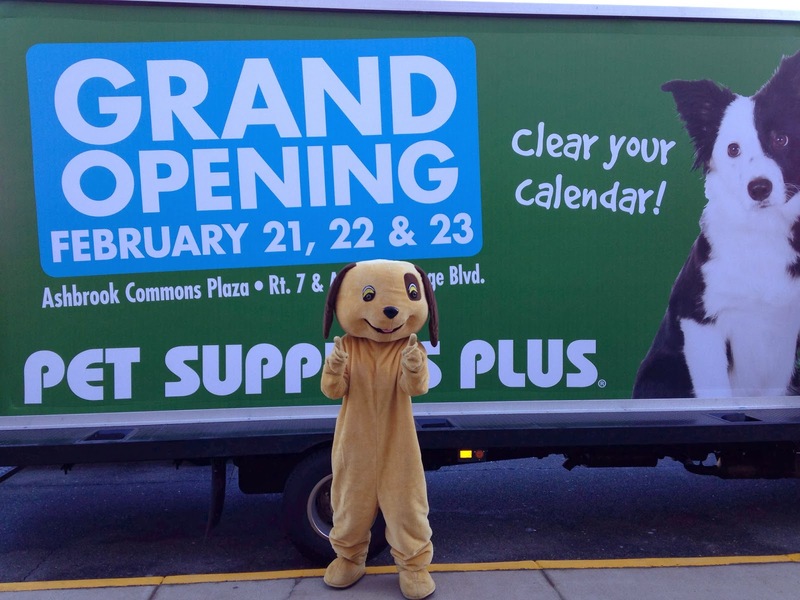 Patches the Dog is an important part of every Pet Supplies Plus grand opening! As the mascot of America's Favorite Neighborhood Pet Store, Patches is the Pet Supplies Plus ambassador to every new neighborhood in which we build a store. Our mascot connecting with neighbors! 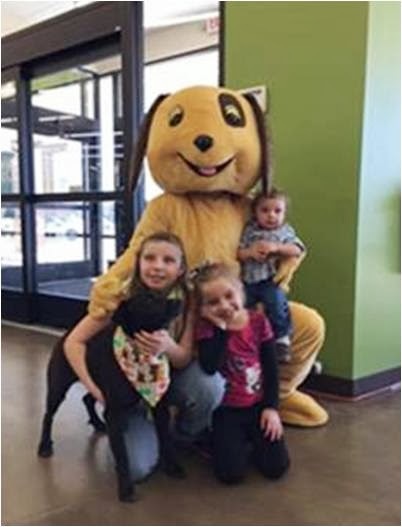 Then on the day of the grand opening, Patches is in the pet center greeting guests, out on the street corner waving at traffic, and spreading merriment wherever he goes! Of course, there's a Pet Supplies Plus team member inside that Patches costume, all of whom do a great job of engaging with the neighbors and the pets. 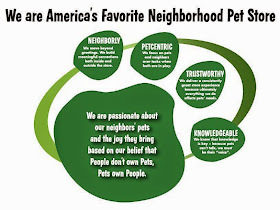 A pat-on-the-back goes out to all the Patches who have come before him and are yet to be - you do a great job of conveying the neighborly, trustworthy, pet-centric attitude of Pet Supplies Plus right out of the gate!